List views are the simplest views in TIMU, with an uncluttered interface that just gives you the essentials. A list view displays the name of each item in the module, along with the status if applicable. List views display the name of each item in the module, and the item's status if it has one. The 'due date' and 'assigned to' fields will be also be displayed if values are specified. Most other fields are omitted entirely from a list view for the sake of simplicity. List views are available as a default option in most TIMU modules. To add a list view to your module, click '+ New View' and choose the menu option for 'Local View'. After choosing whether the view is public or private, select the option for 'Simple List' and give the new view a name. List views can be filtered and/or sorted using the tools on the filter bar. 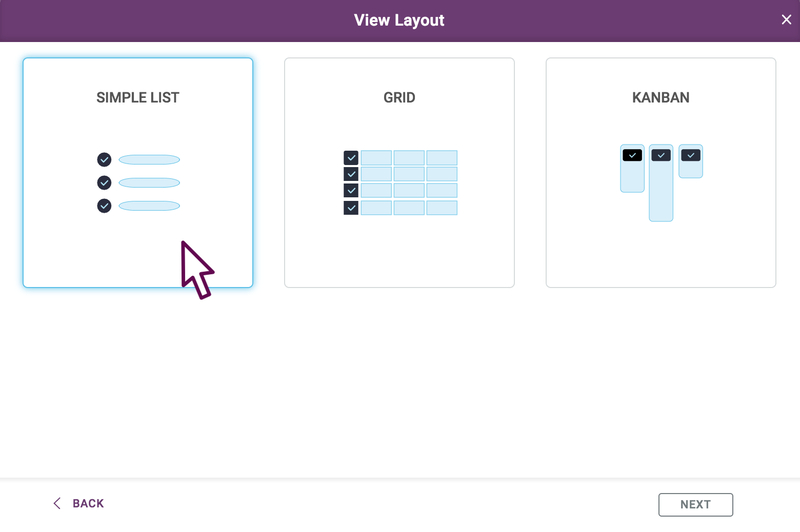 Unlike Grid and Kanban views, List views cannot display custom fields or apply colorization to items in the view. 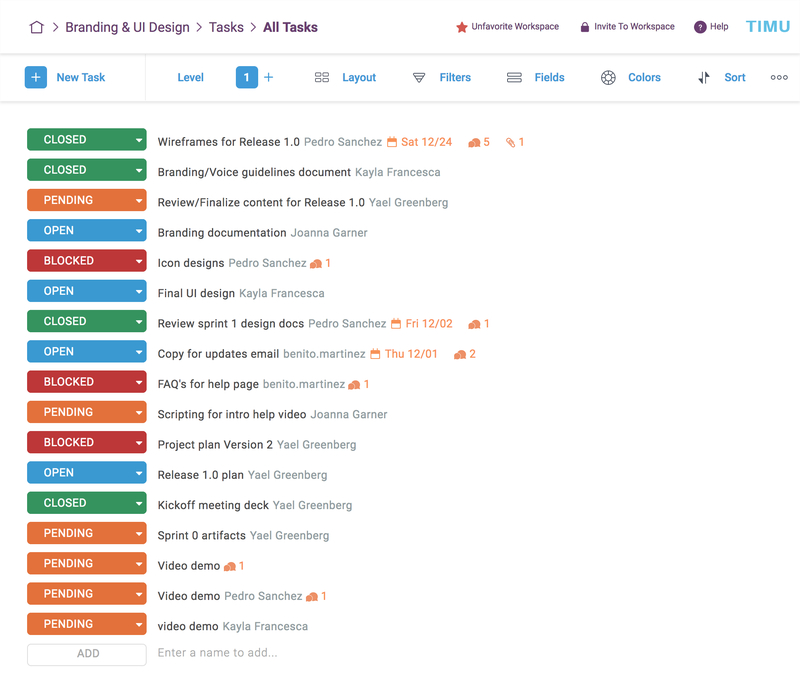 Multi-level list views are not supported; adding additional levels to a list view (to display subtasks, for example) will have no effect.